A peaceful hotel with a beautiful sea landscape at a convenient distance from the centre of Vaasa. A large parking area, versatile services, spacious rooms and the Tropiclandia spa next door guarantee a cosy stay. Scandic Waskia is the perfect choice when you want to unwind away from everyday life and relax by the sea in beautiful scenery. The rooms are spacious and many of them feature amazing sea views. A luxurious suite with a bath tub is the perfect choice for a pampering stay. In the peaceful room, you can have a good rest after spending the day in the Tropiclandia spa next to the hotel, for example. In the summer, you can enjoy the hotel’s sandy beach and there’s also a play area and an outdoor playground for families with children. Enjoy dinner with amazing sea views in our restaurant. Swing on the dance floor and enjoy live music in our dance restaurant. The hotel saunas and a well-equipped gym guarantee a relaxing visit. Our bright, flexible and versatile conference facilities are perfect for organising conferences, events and parties. Some meeting rooms have a sea view and many are also suitable for different family events. The large parking area, free of charge, guarantees easy arrival and all areas of our hotel have free WiFi. It’s easy to arrive at and leave the hotel. It’s located on Vaskiluoto island, within 1.5 km of the centre of Vaasa and the railway station. Idyllic Vaskiluoto provides a beautiful setting for outdoor exercise and for enjoying the sea air. The well-known water park Tropiclandia is located right next to the hotel. In the summer, the fun Lilliputti city train transports you from just outside the hotel to different attractions in Vaasa. The nearby Zip Adventure Park guarantees a fun visit for all kinds of groups. The performers at Restaurant Waskia entertain those who feel like dancing until late. Enjoy a breakfast buffet, a delicious lunch and a charming dinner in our hotel restaurant. Enjoy a drink in our lobby bar as well! It's difficult not to feel welcome! 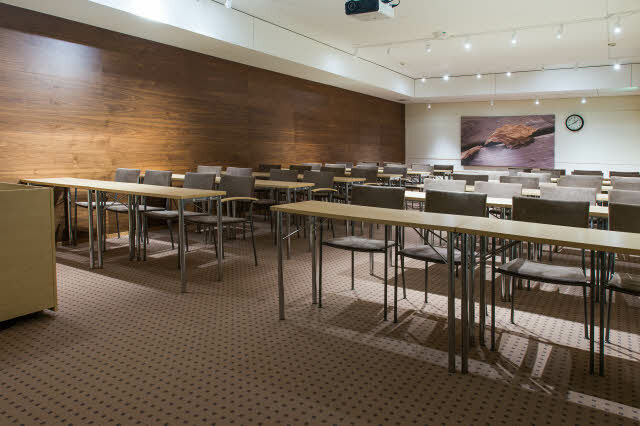 Organise effective conferences, meetings and events for up to 300 people in our modern and flexible meeting facilities.